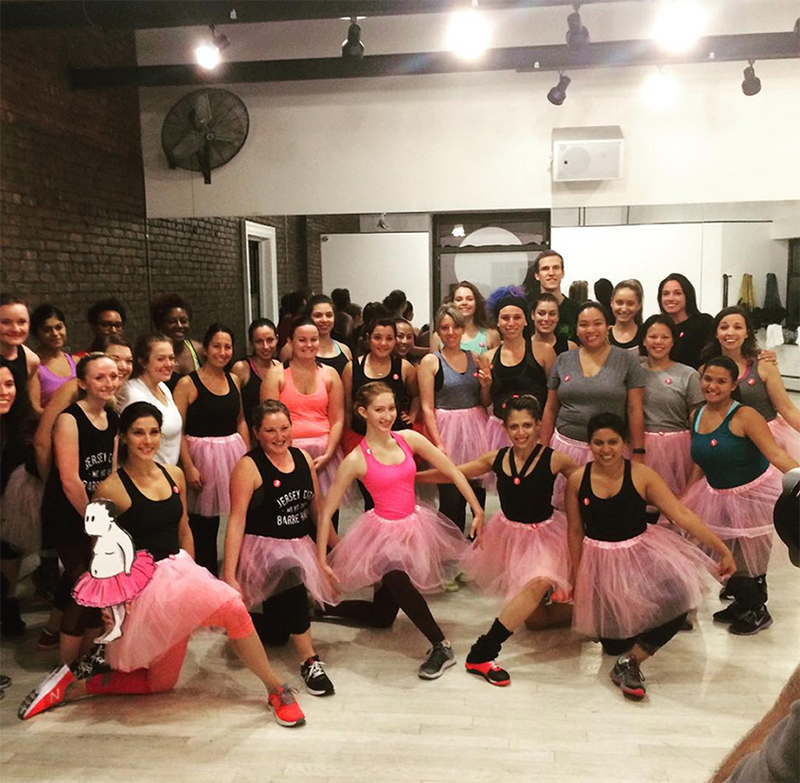 These lovely ladies joined our #Dare2Tutu campaign this year, donned a tutu, rocked out to a vigorous workout while raising money for breast cancer! Thank you, thank you, thank you. AND, to The Sports Barre in Jersey City, we just sent you a basketful of gratitude for organizing this event! We hope you think of us as much as we’ll think of you when we see these great pictures! Behind the scenes was a very special woman, Meredith Fortier, who worked diligently to make the event a success; thank you for your dedication to The Carey Foundation and those living with breast cancer. The funds raised will ease the stress of a breast cancer diagnosis by covering incidental costs not covered by health insurance. You’re the best!